Over the last few years I've gotten into drinking more coffee than I ever did before that. However, I don't drink just plain black coffee and I don't think I ever will. I've always enjoyed flavored drinks and feel the same about my coffee. I just like having some sort of little extra flavor when I enjoy my cup of coffee in the morning. So when I got to try out an awesome sampler from Crazy Cups I was super excited. It contained all sorts of different flavored coffees and even a few flavored cocoas (which made my kids happy). So far from all of the ones I've tried I have to say I like the Caramel Truffle Sundae best. 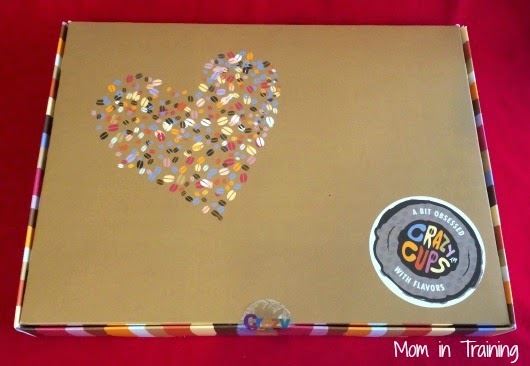 It's a combination of sweet caramel, chocolate and nut ice cream. It's a great way to enjoy a sundae even in the winter when it's cold. Crazy Cups are compatible with K-cup brewers (except the new Keurig 2.0) and the cups can even be recycled after use. Each cup has 13g of coffee. That's 30% more coffee grounds than any major single cup manufacturer. More coffee means a more flavorful, bold, and delicious cup. Crazy Cups are recyclable. Our cups are made with cool, peel, recycle. So they are not only good for you, but good for the planet. 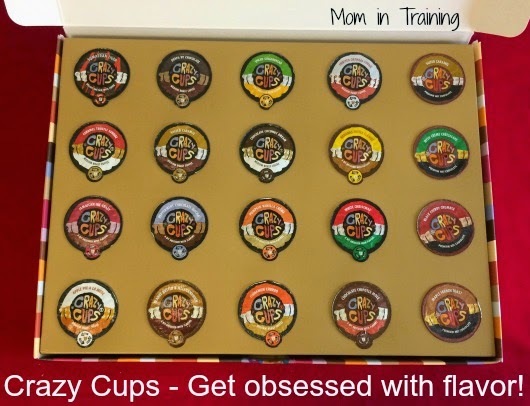 Buy it: You can purchase Crazy Cups online in individual flavors as well sampler packs.